Macnas is delighted to announce that Bank of Ireland is the exclusive sponsor of the Macnas ‘Engineers of Imagination’ initiative. This new Macnas initiative brings ten of Ireland’s most exciting and emerging visual artists and creatives to Galway for a month-long programme this October. 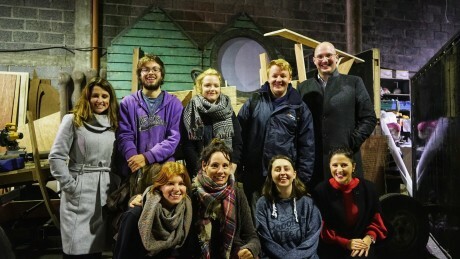 The ‘Engineers of Imagination’ take part in a mentorship programme with experienced Macnas designers. They will work alongside the core Macnas team, creating work that will be premiered in in Galway for Halloween 2017. The ‘Engineers of Imagination’ programme celebrates Bank of Ireland’s commitment to promoting Ireland’s next generation of visionary designers and makers. 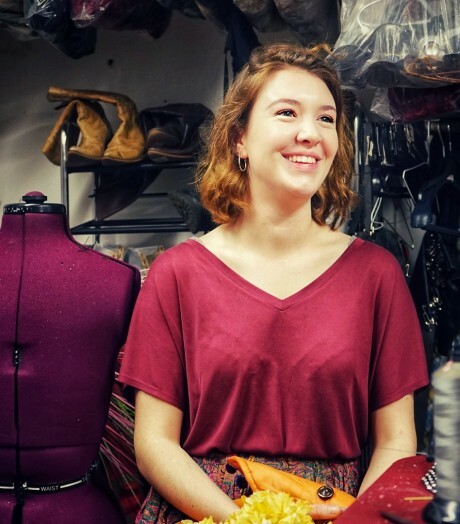 The programme provides a platform for creative emerging talent in the areas of costume design, metal sculpting, mask and prop design, large-scale animatronics, set design and painting plus virtual and augmented reality spectacle. Successful applicants hail from Dublin, Galway, Sligo, Mayo, Louth and Texas USA! They are already hard at work on both large-scale parades for Halloween. See their work at Port na bPúcaí (Song of the Spirits) celebrates the spirit of the West of Ireland on Sunday, 29 October at 5.30pm. ‘Memory Song’ will move through Dublin’s City Centre on Monday, 30 October as part of the Bram Stoker Festival.